We Manufacture Freeze Dryers From 400 KG to Bench-top Units. Bulk or Stoppering. GMP & Non-GMP. FOR SALE: HULL FREEZE DRYER 120 Sq. Ft.
WEBINAR: "Lyophilization Process Development, Scale-Up and Technology Transfer Strategies"
With Speaker: Charlie (Xiaolin) Tang, Ph.D., Director, Formulation Development, Regeneron Pharmaceuticals, Inc.
We'll be announcing a new date this week. Please stay tuned. ​Are You a Food Processor or Co-Packer? Read This: "How To Buy a Co-Packing Freeze Dryer In Three Easy Steps." Check Out Pre-Recorded Webinars Here! Hydrogen Peroxide Vapor Sterilization: Hudson Valley Lyomac freeze dryers integrate with hydrogen peroxide vapor (HPV) systems. In less than 4 hours our production line instruments can be HPV sterilized and ready. Our pilot and bench-top instruments can be HPV sterilized in less than 2 to 3 hours. For more information, please call us at (518)828-2180 or fill out our Information Request Form Here. NEW! press release: Hudson Valley Lyomac protects Intellectual Property by Formally Applying and Receiving Registered Trademark Status for three of its lyophilizer series. ​Download The Full Press Release Document Here. Hudson Valley Lyomac was founded in 1979 and is family owned and operated. 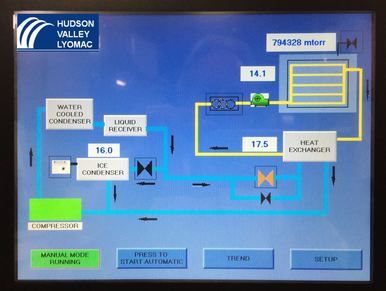 Hudson Valley Lyomac manufactures Laboratory Freeze Dryers, Pharmaceutical Freeze Dryers and Industrial Freeze Dryers. We also offer contract freeze drying and lab use for lyophilization cycle development. "Development of Lyophilization Cycle for Improving Stability of Complex Injectables"
Screening buffers, bulking agents, and lyo/cryo-protectants. We provide support and repair for many major lyophilizer brands. Please visit our service site for information. April 13, 2017 International Society of Lyophilization - Freeze Drying, Inc.
​"Hudson Valley Lyomac provides a custom freeze drying service to us that is utterly reliable, cost effective and that allows us to focus on other priorities in our production cycle. In the development stage, we had full access to their impressive shop and facilities and were very impressed by how the team there worked to meet our exacting requirements." ​"Hudson Valley Lyomac has been very responsive to our test lyophilization needs"
Feeze Drying, or lyophilization as it is referred to in the Pharmaceutical, Diagnostic, and Food Preservation Industries, is a dehydration process used to preserve perishable foods and other materials. The freeze drying process consists of three stages: pre-freezing, primary drying, and secondary drying – the result – stable products with a long shelf life. 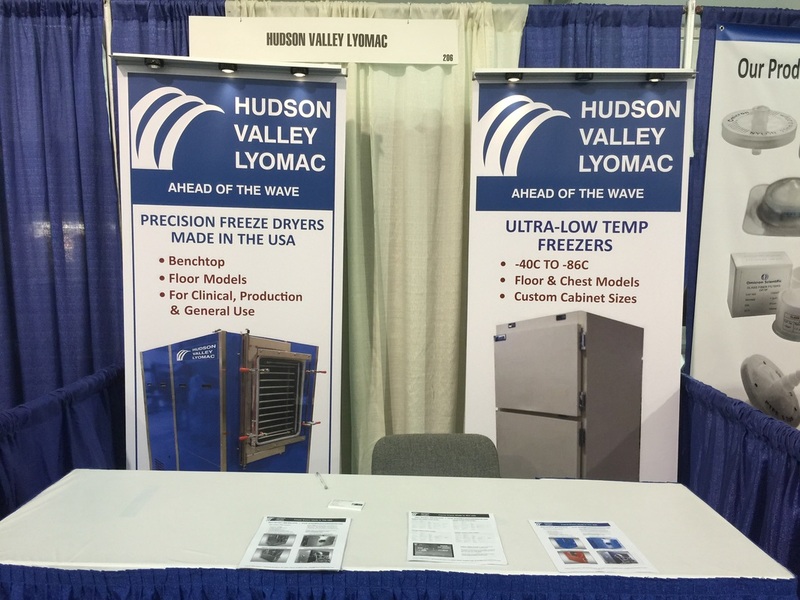 Hudson Valley Lyomac offers the highest quality freeze drying technology. 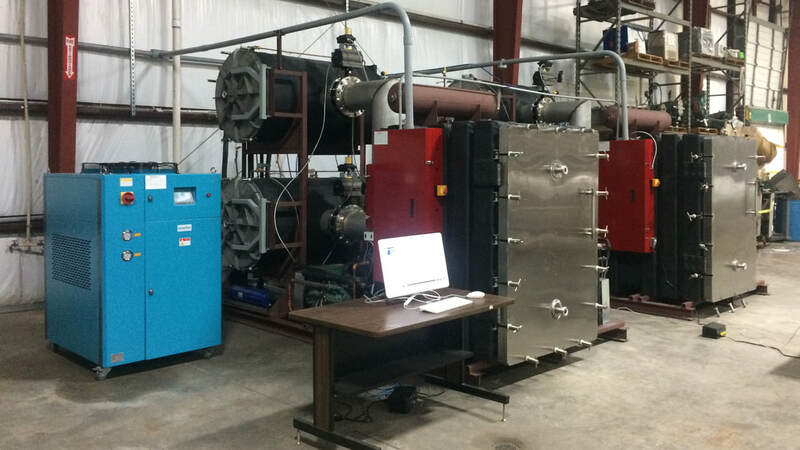 Our commercial freeze drying systems featuring longer service life, resistance corrosion, sturdy construction and efficiency. Laboratory Lyophilizers - remove water from delicate biological products without damaging their chemical structure. Pilot Laboratory – operated via a PC control system parameters are monitored and stored during freeze drying to provide full documentation. 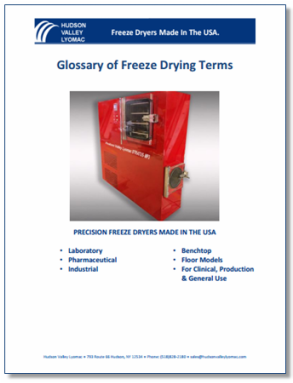 Glossary of Freeze Drying Terms. 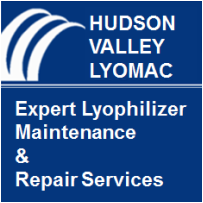 Trilogy®, Trident® and Futura® are registered trademarks of lyophilizers manufactured by Hudson Valley Lyo Mac, Inc.
Technical Expertise and Value with Fast Turn-Around-Times are among the many reasons laboratories choose Hudson Valley Lyomac to meet their lyophilizer needs. We provide expert custom programming with GUI enabled lyophilization procedure controls. Contact Us; Have a question? Need Our Assistance? ​Customer Support: Our customer support is available to you around the clock! We provide full service, including on-site "proof of concept" testing and monitoring. First – gently freeze the product. Second – a high-pressure vacuum is used to extract the existing solvents (such as water) in the form of vapor on a condenser below the freezing chamber which returns to ice and is removed. ​A rise in temperature then removes any remaining moisture in the product. The Result – The products structure, size, nutrients, flavors and colors are preserved for storage or transport.